Hi everyone, just a quick FYI. The HTML Workshop scheduled for this upcoming Wednesday, November 5 has been cancelled due to a schedule conflict by the host. Previous Previous post: Neat Personal Tech Articles For Your Weekend Reading Pleasure! 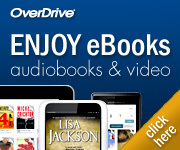 Next Next post: Brand New E-Books, Downloadable Audiobooks & Streaming Videos Available Today!